The new Vak mag is out and it sure is a fresh breath of air blowing through a stagnant world that is fly-fishing journalism. for many years now I have found that the current state of the industry has been at a stand still, repeating what has been said so many times before. This first issue of Vak truly shows that there is still hope for bug slinging journalism and I welcome it with open arms. 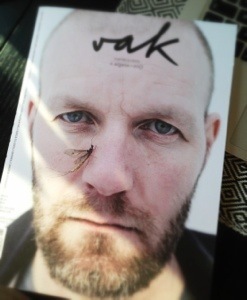 Buy a copy at http://www.profly.se and help keep Vak alive.